The 8 Best Breweries in Wyoming! 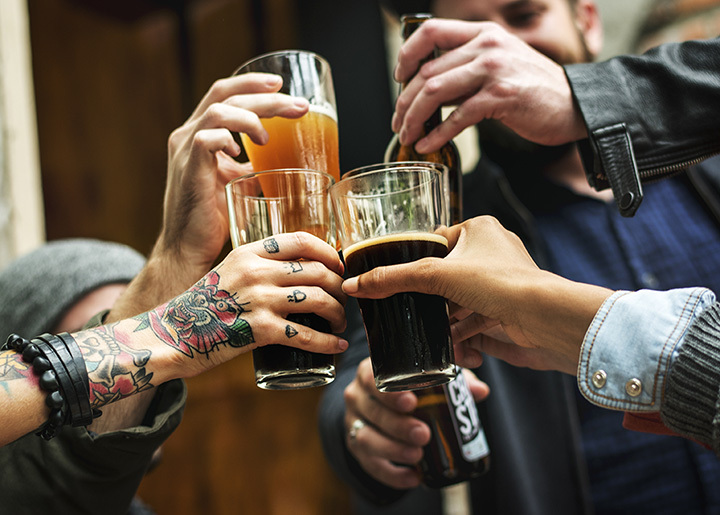 The absolute boom of microbreweries in the Rocky Mountain region and the Northwest inundated the country with new and exciting expeditions into the art & science of beer making. Wyoming has cultivated a vibrant and technique-driven brew culture, surprising judges and pleasing drinkers daily. Here are the eight best breweries in the state. At least to those in the western U.S., Snake River is an identifiable can, from a long tradition of quality microbrewery. The beers here reflect the Tetons encircling Jackson: They’re rugged and beautiful and forebodingly saw-toothed, but surprising refined and pristine on closer inspection (and organic in its truest sense). The brewpub is the store-front to enjoy fruits of the expert brewers, including Pako’s IPA and Jenny Lake Lager. Rock Springs residents’ Eastern European roots means nothing if not celebrating a re-spectable beer culture. Bitter Creek is an easy median between unadorned, kettle-side taproom and family focused bar & grille. They menu features respectable burgers and pub grub, and a kid’s menu approachable enough to please the pickiest kids. But do not overlook the beer. The microbrews are fun and a few tasty best sellers resulted from happy brewing accidents. The Boar’s Tusk hoppy-ness is delightfully faint and won’t bloat, and A Beer Named Bob is smoky and sweet. Just this year, Melvin won medals at the World Beer Cup: Gold for its powerful-without-tasting-overpowering Imperial Indian Ale, and bronze for the sweet and slightly tart ChChChCh-Cherry Bomb. This successful operation, with tentacles in Colorado and Washington, among other western states, has amalgamated and perfected the once hippie brewer focus on organic ingredients and clean water. The taproom is modern and warm, and even warmer with a delicious Melvin IPA. The Wind River Range is a gorgeous sin wave of zig-zagging timberline peaks, melting at their base into Wyoming’s seas of sagebrush grassland. And this nature-centric sensi-tivity is evident in the clean brews, spawned from pristine ingredients and glacial water. This spot has won awards at previous International Beer Fests, joining it’s ESB and por-ter. In addition, large TVs play for the kids or sports fans, and a great menu of apps, burgers and salads wash all that beer down. Try TKO for caramel-y and strong swigs in the cold months, or the Belgian-style, orange and lemon-scented Rendezvous Wit under the sun. Home to Northwest College, Powell is a medium-sized rural town near the northern bor-der with Montana, humble and plain. But inside WYOld, the marble bar, elegantly-dimmed lighting and warm woods are modern without being sterile, classy without being pretentious. And the beers go down smoother in such a cozy atmosphere. As surprising as the vibe, the dark and murky Coconut Porter in fact drank clean and crisp. It’s hard to argue with Gillette being the “first and the finest” brewery in the area. It’s an approachable taproom, and being that selecting one delicious brews is so daunting, the great deals on flights are an easy option. And they go surprisingly well with decent in-house pizza. To the brewery’s credit, where so many gluten-free beers fall short, customers actually rave about Silly Yak, a brew with actual character and flavor! What began years ago as the creation of small-batch brews in a garage, flourished into the beloved brewery that stands today. This small-town spot holds a special place in the hearts of the Buffalo community. Basically, if you love beer and find yourself in Wyoming, MISHAP! is a no brainer. Try their acclaimed chili porter—it’s a favorite. By microbrew standards, this upstart brewing company is relatively new to the Wyoming scene. But the process and experience of its brewers makes for veteran-level libations. Seven days a week, the taproom fills pints of chilled Columbus Pale and 1890 IPA, lip-smacking brews made from floral northwest hops that embrace the frontier spirit of rural microbrewery. View more Wyoming Breweries and Brew Pubs.